Jim Grant does his regular dose of rebuking to the FED on a CNBC interview. He talks about interest rates, fake asset prices and fake recovery. It is obvious that the FED is doing aiming at repression: "By changing interest rates, central banks change the perception of every asset class - so what seems cheap may not be cheap" as Jim Grant states that when people or businesses can fund an investment project at 0%, we are collectively being manipulated and moreover should try to realize - as an investing public - that we are Jim Carrey in The Truman Show. Of course the 75% of professional investors who believe Bernanke is doing a great job would prefer to stay inside the fake reality where their bonuses get paid and leveraged tranche losses get soaked up by some account transfer from the fed or loan loss provisioning adjustment - for the rest of us - wake up and smell the unreality. The money-honey pulls the blame and deflect card - noting the ECB are just as bad - but Grant brings her back to the reality that we are facing as he suggests being in the crowd who own Treasuries and Bunds when the next risk flare occurs will not end as well as many hope, preferring gold (and gold stocks) as a hedge as "The Gold move is not over". We have also published an interview of Jim Grant where he states the gold stocks are much cheaper than the metal and will provide good returns long-term. His take on regulatory charges is interesting towards the end also - especially in light of this evening's news. expect gross profit to decrease. that stock getting hit hard. and back in march fed chief ben bernanke a peace of their mind. 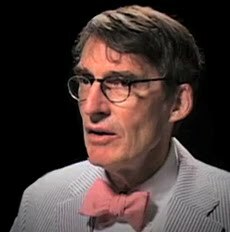 the fed has made the entire market and economy a, quote, hall of mirrors.here exclusively, the founder and editor jim grant. thank you for joining us. a hall of mirrors, what do you mean? a movie starred jim carey and a guy that didn't realize he was living on a tv set, a realityshow. everyone knew except for him, he drove his boat in the lake and the lake is like the painted sky. in a way, the trumman show isthe world of finance under the control of sent trcentral banks. it's about the manipulation of the things that we see. having repressed interest rates, the central banks change the perception of every investor towards assets. so what seems cheap may not be cheap.we don't know exactly because we can fund them at zero percentand that to me is an opportunity, it's a danger to what is.manipulation. it seems to be important that we realize we are collectively being manipulated. we ought not to be jim carey until the end of the movie and not while he's still in the dark. there was a poll out today that said 75% of professional investors worldwide now think chairman bernanke is doing a great job. well, they might because they are in the business of investing other people's money and funding it at the lowest possible cost. but what he's doing is creating this unreality. okay. so it's unreality and we know what he's doing and it's been going on for a long time now. a long time yeah. by the way, we have to say it's been going on at the ecb and other central banks as well, right? it's a worldwide dance craze. so let's look at the reality of it. this is what is happening. it doesn't seem that he's going to step away any time soon. how do you invest around that? what do i need to be doing to capitalize on this as an investor? what we can know is how people are handyiicappeding the future. i was reading today that we are in a bull market of fear and people are stuck in 2008. we have 2008 in the brain. it might recur. it's possible. more likely it's going to --something else is going to happen. i'm not interested in being in the crowd of people and very contrary to my express views have been buying treasury bonds and sovereign debt in germany and japan.this has been a hugely successful trade for 35 years. but, my goodness, that to me is my question. one of the worries, of course, we're talking about the fed action and that's inflation down the road.now, here we are in an environment where it feels like, be how can we have an inflation when we're worried about the economic growth story. right. but there are pockets of this economy, you see, and now certain companieses raise raising prices. bob iger on the show the other night, raising prices of oil and food. are you worried about inflation? yes. last great inflationary outbreak that we had was in the late '60s through the '70s. what preceded that outbreak was several years in a row from 1960 to '64. those were rates of inflation that today would be called deflation. the fed would mean to kwaush those rates and lift them up higher. we can't suffer 1% inflation, they would say. but what followed 4% of inflation was the great inflation of the late, late '60s, into the '70s and up until 1980.there's no press release. they don't tell you what is going to happen. so gold and silver have been awful investments for a year.until the last three years. right. but to me that is one area ofopportunity. some of these gold stocks are astounding. if you own them, they are mainly cheap but they are cheap as businesses as well as hedges. why is it that gold prices have moved higher and the gold stocks have not kept up? i don't know. that seems like anopportunity right there. here's my sophisticated analysis of this.they really hate gold stocks. yeah. but you're a gold bull. here we are with gold, 1594 is where gold closed tonight. do you think it's going higher from here? yes. i think that but i can't substantiate that with anything resembling a graham and dodd authorized analysis. i think it will move higher. to me the gold prices are a resip pra cal of the world's trust. i think gold will do better or the currencies -- another way of looking at the currencies will do worse. and we should point out that goldman sachs is forecasting a rally as well. it will advance to 1480. i'd like to know how they get to 40. anything beyond the decimal point -- that's very good. you're worried about regulation as well. talk to me real quick on that in terms of regulation and the policies out of the fed which is really a problem in business, you say. well, graham-dodd is a bureaucrat particular nightmare. those who take risk take bear risk and the excess may make the creditors of the regulated institutions in case they areimpaired or become insolvent. let individual responsibility berestored in the banking business and let us get out of sidewalksuperintending and micromanaging. i won't even ask you aboutdividend taxes. don't ask. jim, it's great to have you on the program. so appreciate it. love having you always. well, be we are taking you back to vegas, baby.